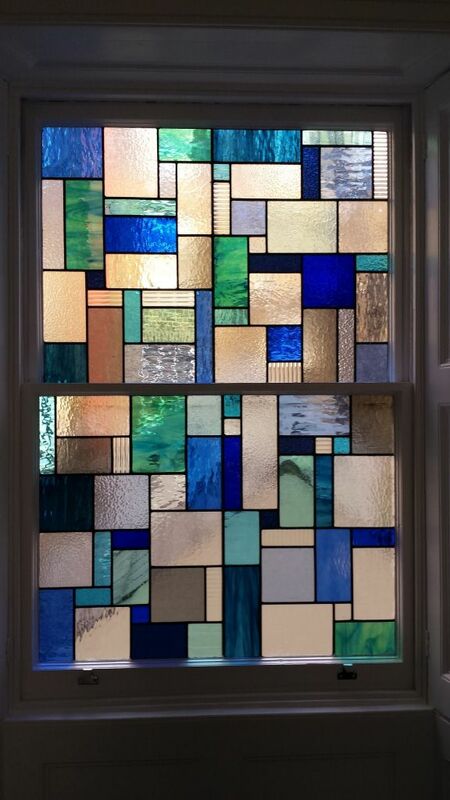 This recent project which was done for a home in Victoria Square, London by Coriander Stained Glass has modern geometrics. 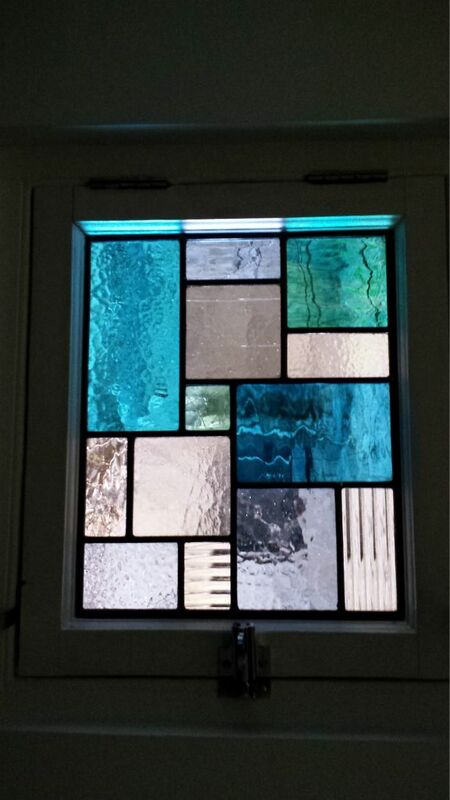 These use complimentary colours and contrasting textures, making interesting modern stained glass windows. 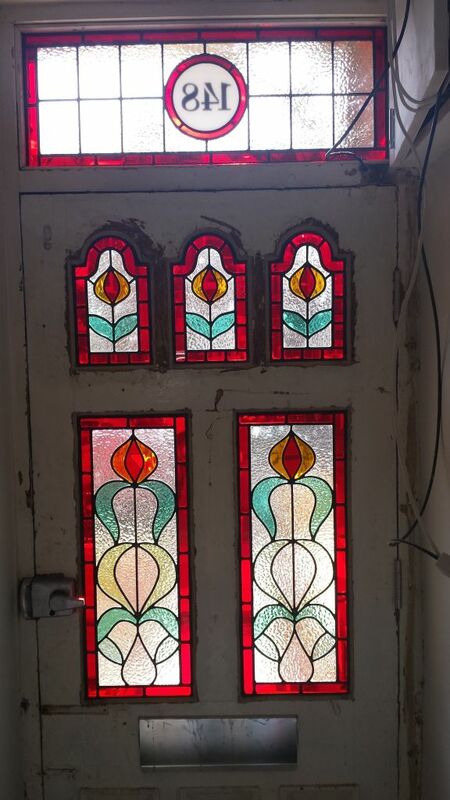 Here, we have an interesting window to show. 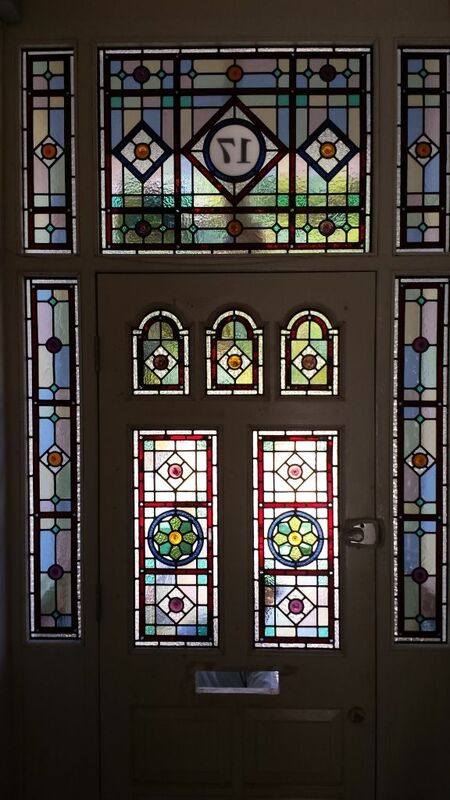 The stained glass we have fitted into this Edwardian front door in SW20 replicates the original design in this conservation area, we were able to use some of the old stained glass and mixed it with reproduction glass to create new traditional panels in the old door that fits the character of the house and marrys to other glass in the street. 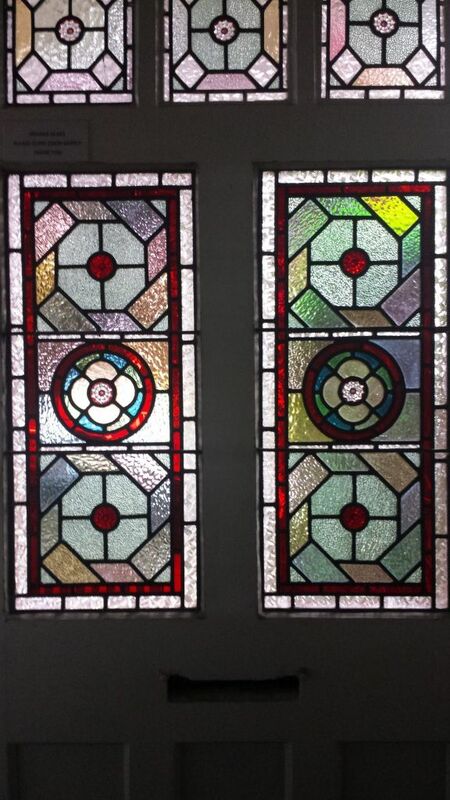 We are very pleased that we are now restoring and making tradition stained glass lead lights at our Esher studio again. 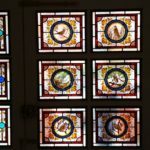 We have been in this little shop by Esher Station now for 18 years making and restoring many varied designs of residential and ecclesiastical stained glass and leaded lights, this is also where we carry out restoration work on leaded lights for Hampton Court Palace and The Natural History Museum. 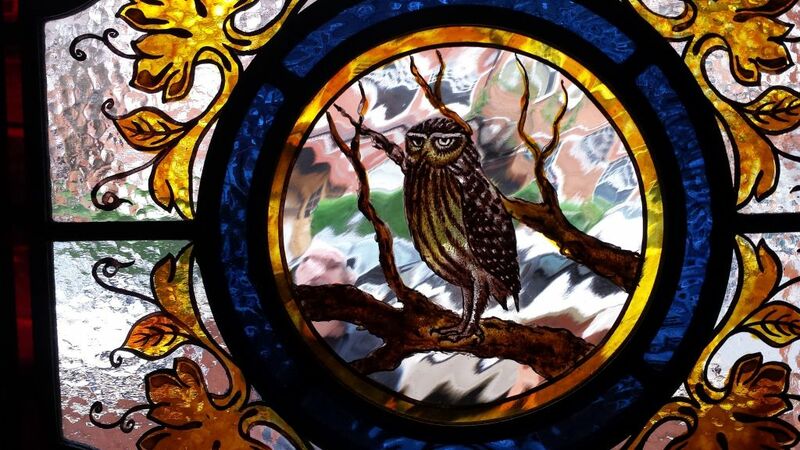 If you would like to visit please give me a call on 02083981633, or email at info@corianderstainedglass.co.uk as we are not yet open every day. 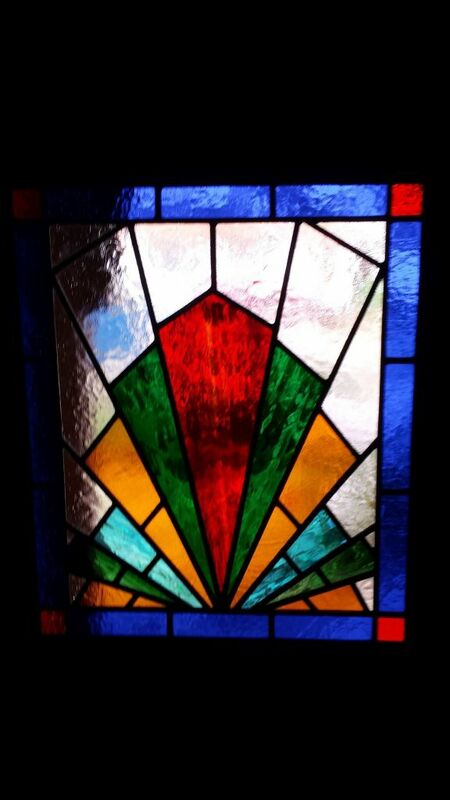 This week on the Coriander Stained Glass blog, we have some recent Art Deco/1930’s projects to share. 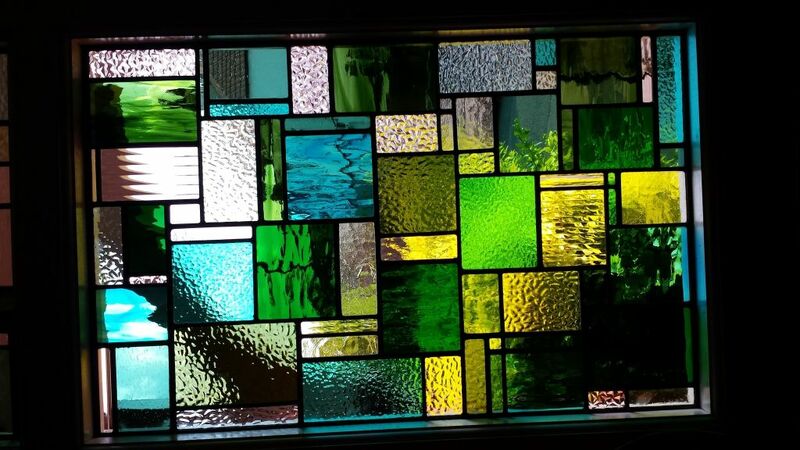 Here are some pictures of a recent project done here at Coriander Stained Glass. 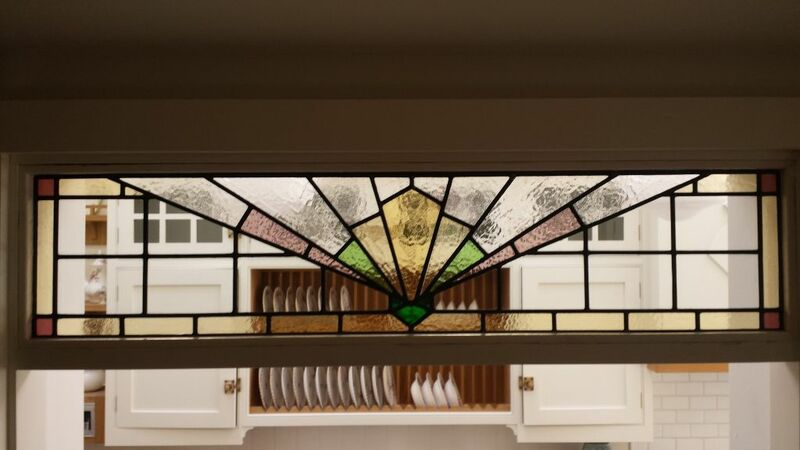 These two interesting bent stained glass lead lights were made from a mixture of original Edwardian glass and reproduction and fitted to an oriel window in a Wimbledon conservation area. 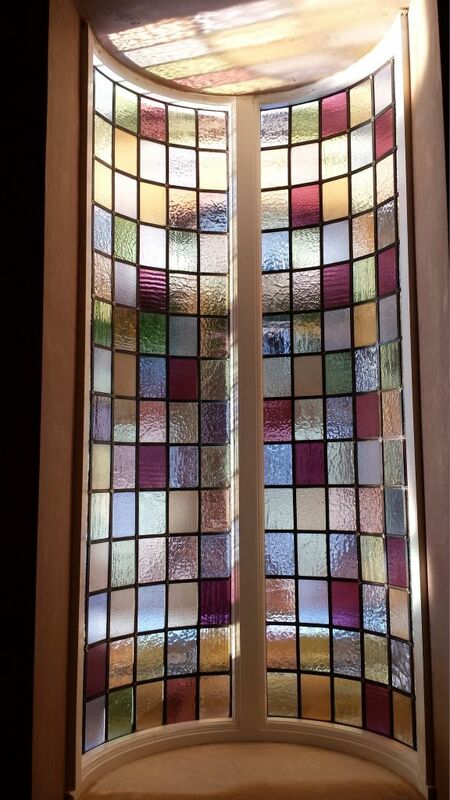 We thought the bent style of the window made it very interesting and it looks beautiful! 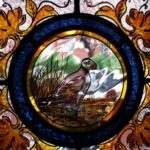 Welcome back to the Coriander Stained Glass blog. 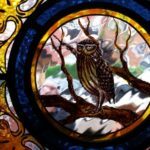 We hope you have had a good Summer. 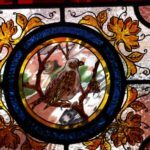 However it is soon to come to an end and we could not be more excited for Autumn and the projects to come! 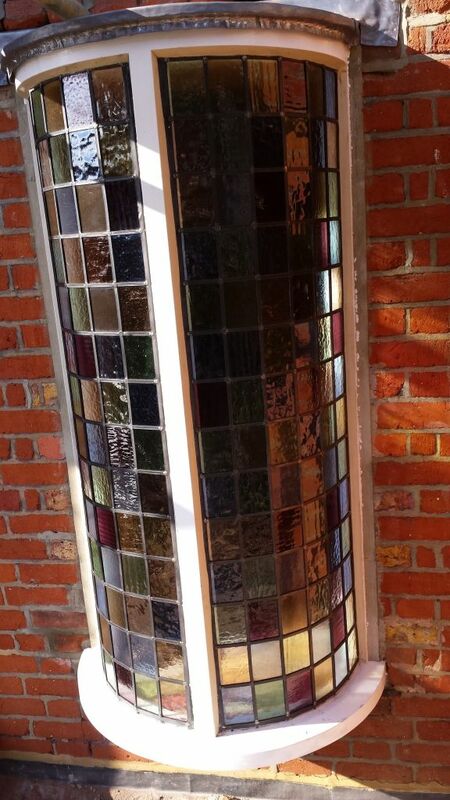 This is our latest Victorian style stained glass front entrance fitted yesterday in a home in Wimbledon SW19. 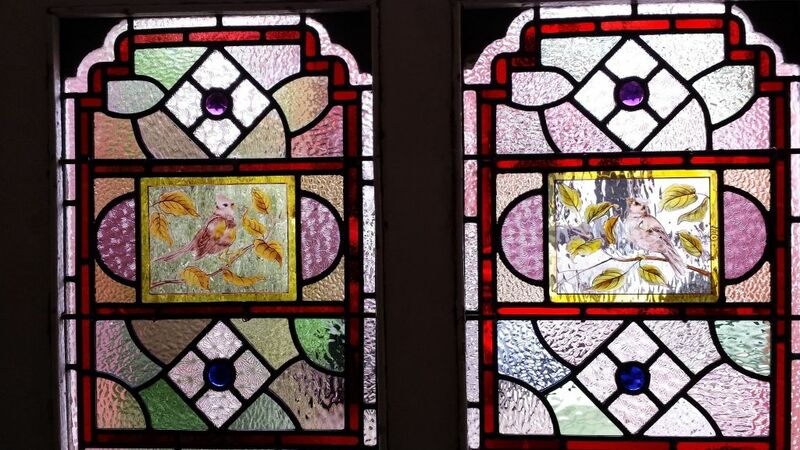 These are two restored Victorian door panels in St. Margarets, Twickenham. 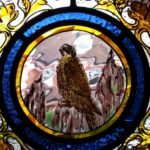 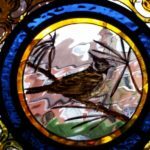 To view more Victorian Stained Glass projects, please take a look at our Victorian Stained Glass page. 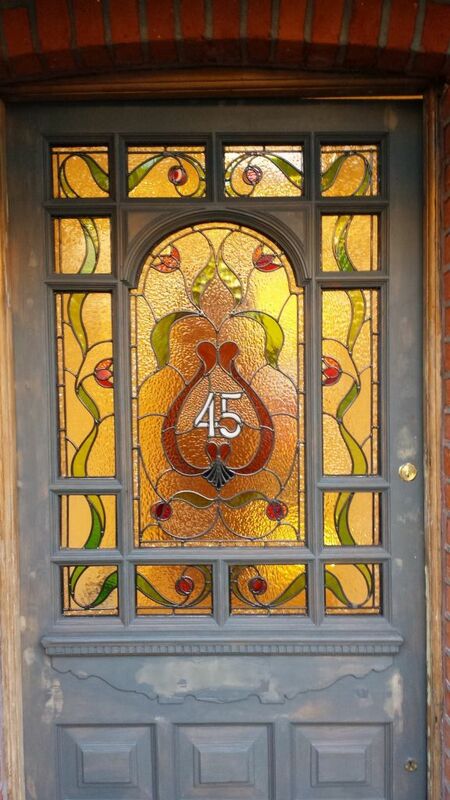 This is a new Edwardian Stained Glass front entrance in Southfields, London, SW18. 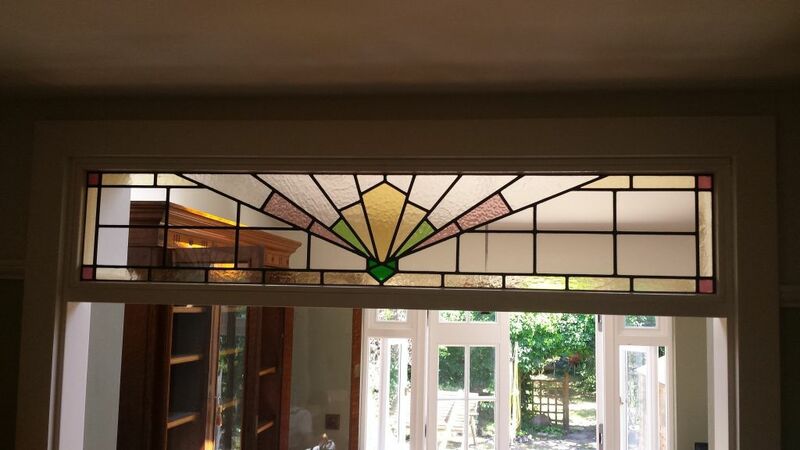 More Edwardian Stained Glass projects can be found in our Edwardian/Art Nouveau Stained Glass page. 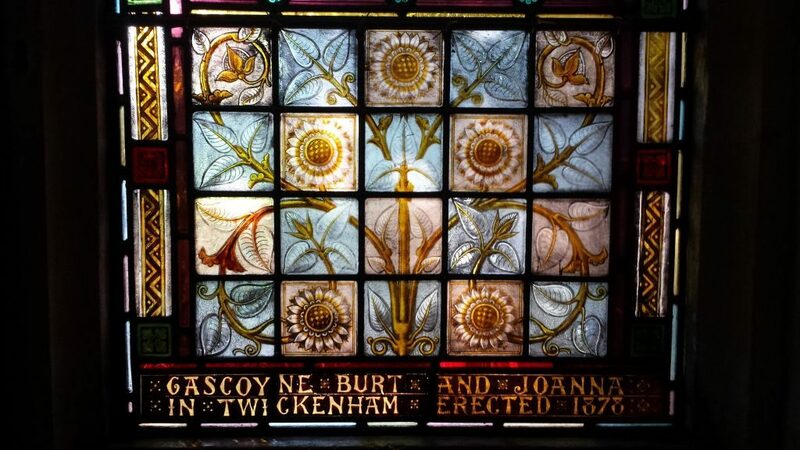 This is our latest completed church restoration at st stephens church in twickenham. 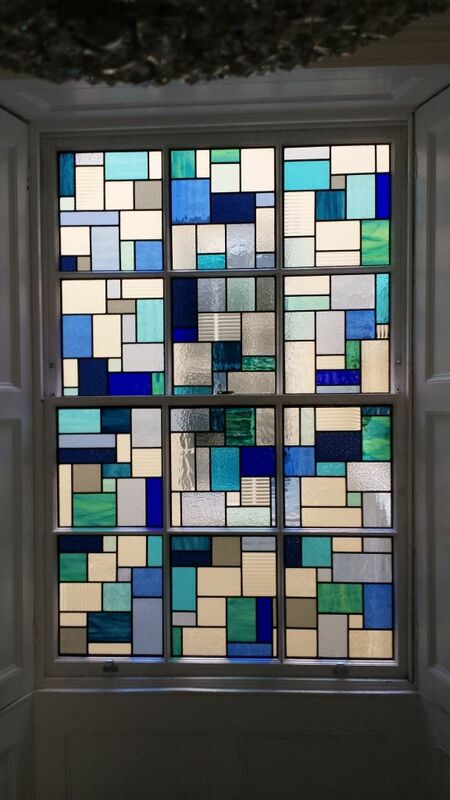 This beautiful stained glass window received substantial damage, at our wimbledon studio we striped the panel of its lead structure, around 20% of the painted glass was broken, so in the traditional way way we copied the broken fired paintings and completely rebuilt the lead light structure. 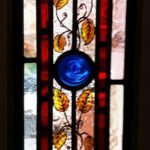 To find out more about our stained glass restoration projects, please visit our Stained Glass Restoration and Repairs page, or contact us for more information. 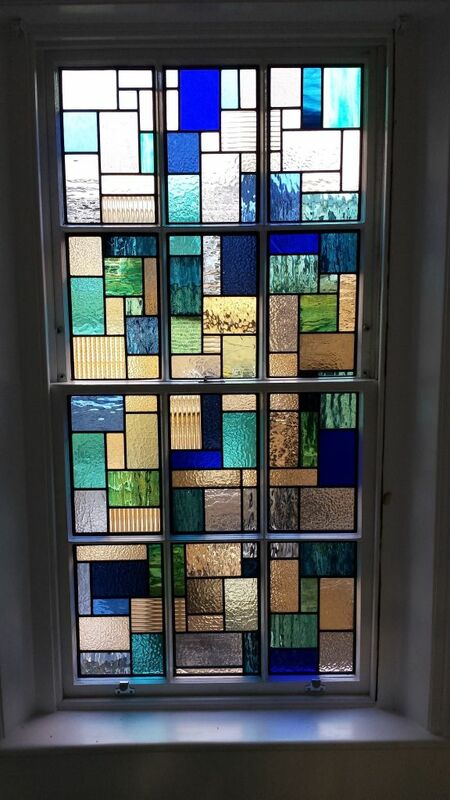 These are some pictures of a recent front entrance, the pattern made up of different sized rectangles. 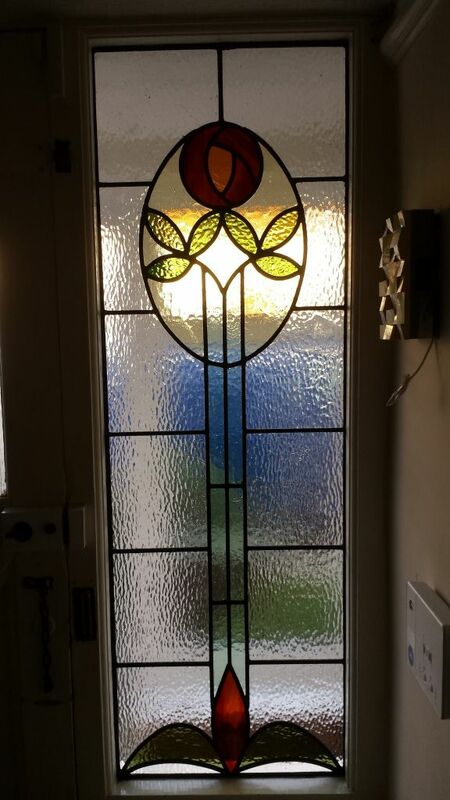 This can be seen in our Other Designs gallery. 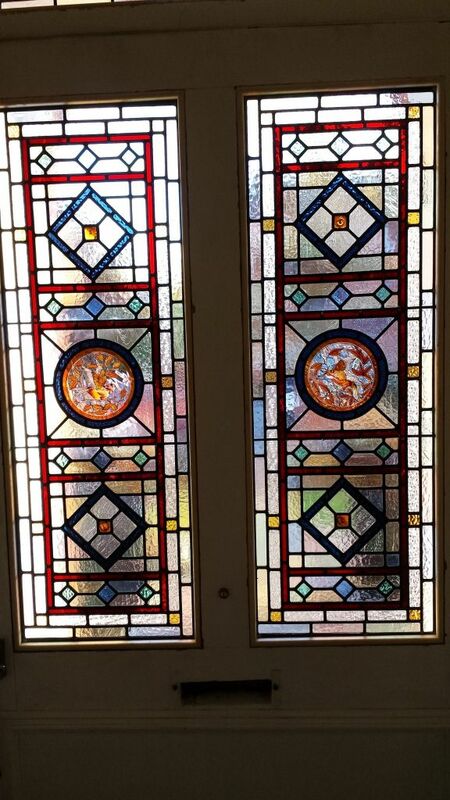 This week we would like to show you a beautiful hand painted stained glass front entrance on the Heaver Estate, London SW17, where we have copied the traditional Victorian geometric design from when the house was built. 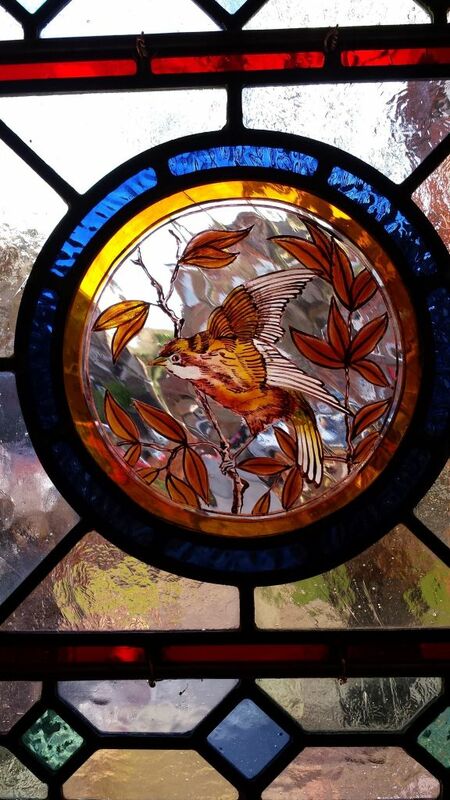 The side lights show a traditional flowing leaf painted pattern, the six door panels are traditionally painted birds of the clients choice. 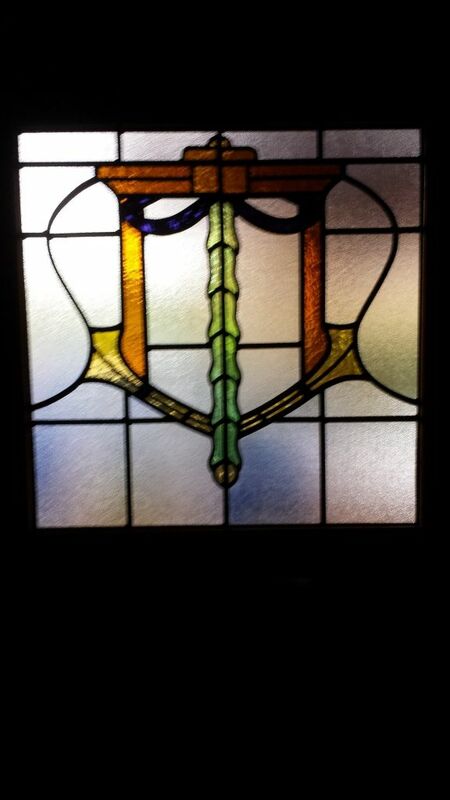 Check back soon for more pictures from this project and other stained glass news. 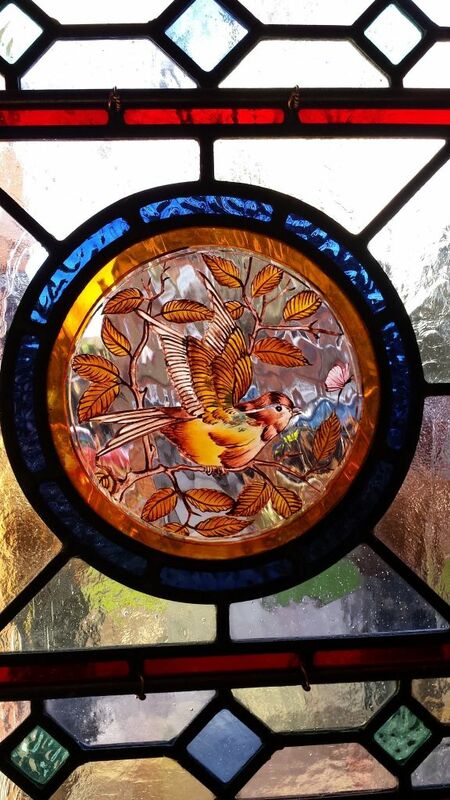 Spring is well on it’s way, and from all the team here at Coriander Stained Glass, we hope you are all looking forward to Easter as much as we are. 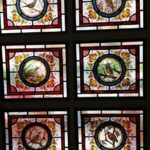 Here’s a few of our latest projects. 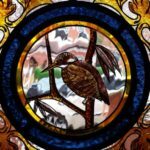 To see more examples of our work, head on over to our portfolio. 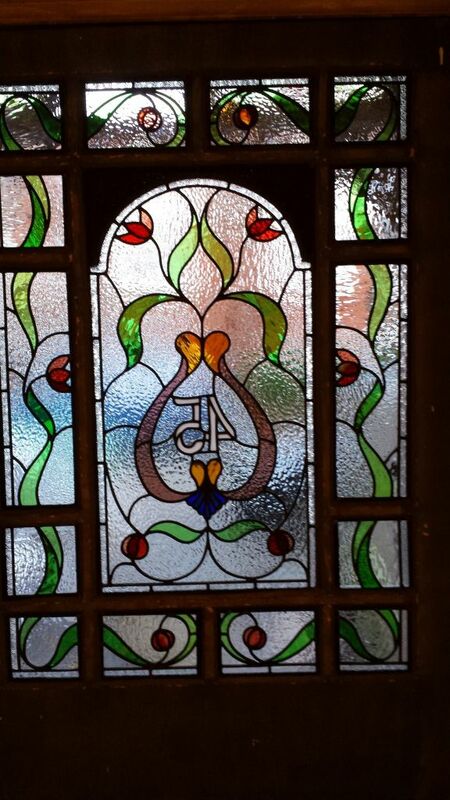 Thank you from all the team at Coriander Stained Glass. 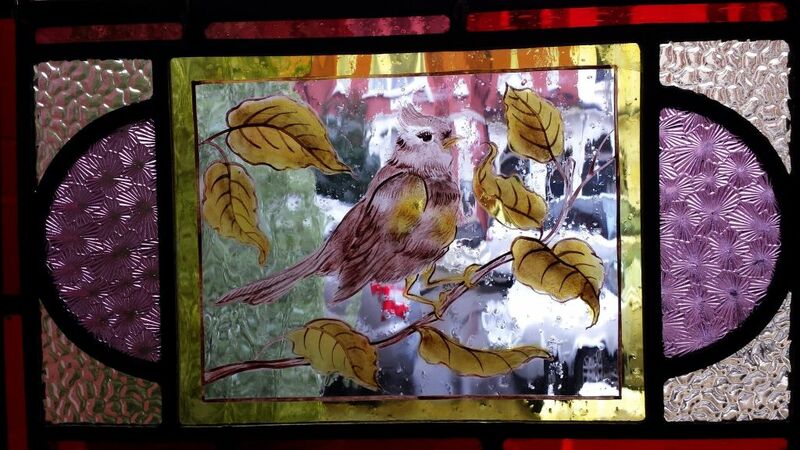 Many thanks from all of the Coriander Stained Glass team and we hope to see you there!